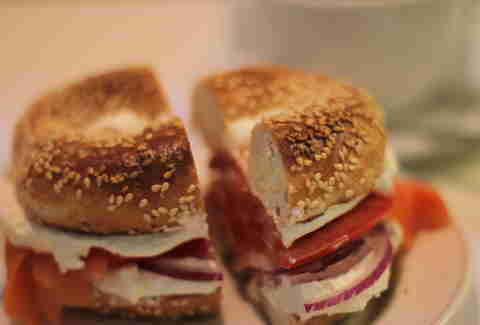 It really doesn’t get anymore special than Beauty’s blue-leather lined booths, Hymie Sckolnick’s old-fashioned good looks, and a bagel sandwich stuffed with a generous amount of lox, dollops of cream cheese, and tomato and onion slices. Dominic “Dic” Potenza and Ann Collecchia have pretty much single-handedly (err, quadruple handedly?) made burgers a thing on the Montreal food scene. 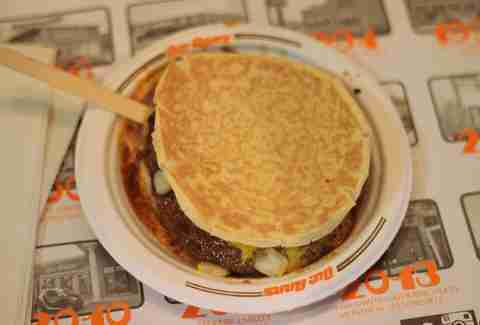 And they’ve managed to do so with the most unconventional flimsy little burger you’ll ever have. That special sauce will keep you coming back for quadruples. 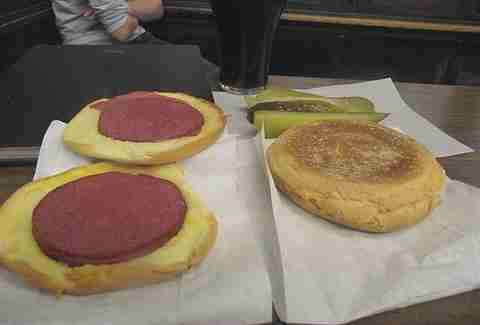 There are bologna sandwiches, and then there’s the Wilensky special. It’s hard to say why the simple formula of five slices of salami, a slice of bologna, an optional slice of swiss, and a slather of mustard on a vintage-grilled Kaiser is so extraordinary, but it is. And it has been for 80+ years. 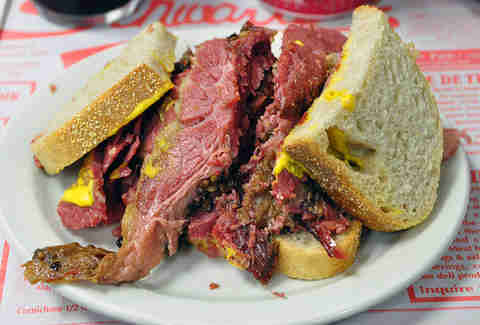 Dinner at Moishes is the stuff that Francis Ford Coppola’s food dreams are made of -- in fact Godfather/food lover Marlon Brando has even been said to have polished off a few beef slabs here in his day. 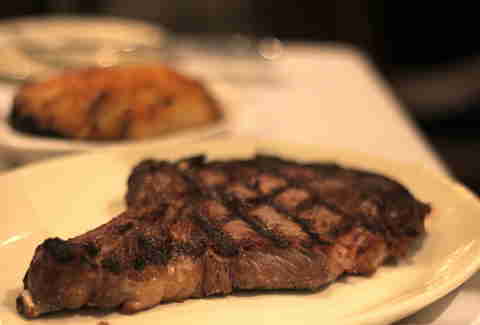 But really for anybody, one of their gigantic, perfectly cooked rib eye steaks is an offer you can't refuse. 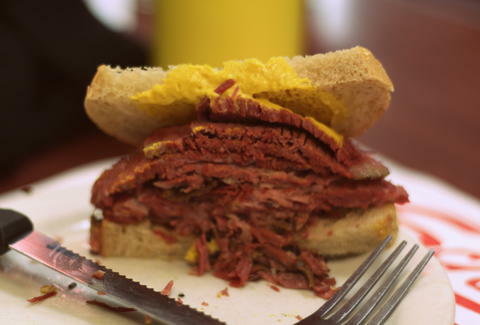 Schwartz’s might be Montreal’s most famous export, followed closely by its smoked-meat-loving co-owner, Celine Dion -- and it routinely turns traveling Americans into border smugglers. Scoring a coveted table at Martin Picard’s meaty resto is pretty much on every Montrealer’s bucket list, not to mention those in the food-loving world. 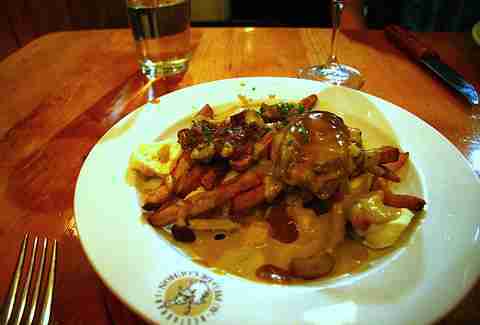 The infamous foie gras poutine is Montreal decadence at its very pinnacle. One of the best trends on Montreal’s fine dining scene is taking an already gut-busting fast-food dish and slapping foie gras on top of it. 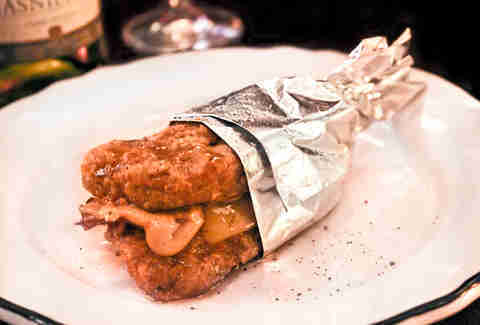 Enter Joe Beef and the Foie Gras Double Down: cheddar and aioli stuffed between two slabs of foie gras breaded with potato chips, deep fried and then drizzled with maple syrup. Yes, you are now fatter just from having read that. 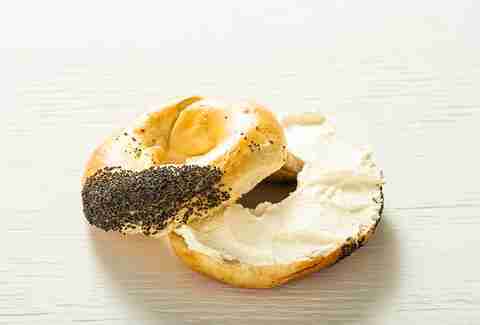 Simply the best bagels in the world. 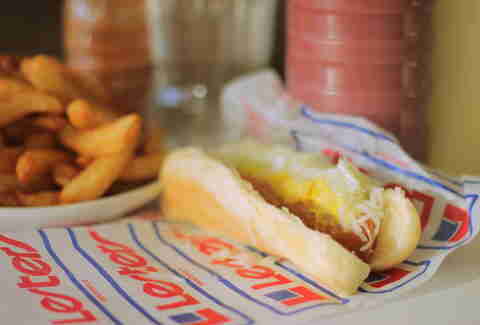 And since they’re so in demand, you couldn’t order a stale – nay, even a day-old bagel -- even if you wanted to. Whether it’s the mysterious frothiness (the result of added egg whites, some speculate), the giant orange, or the rickety old and kind of creepy pipes they chug your drink from, you really can’t find a beverage in Montreal more classic than the good old Orange Julep. 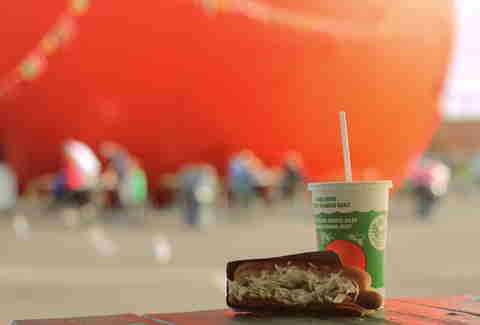 Decarie’s famous steamé hot dog knows no rivals other than the side order of fries that comes with it, which more than a few have referred to as the best in town. Cayenne pepper: yes. Ketchup: no, you damn heathen.